Every week, we’re spotlighting a different food blogger who’s shaking up the blogosphere with tempting recipes and knockout photography. Today, Claire Thomas of The Kitchy Kitchen updates the classic Caesar salad with a heaping of Brussels sprouts—just the thing for Thanksgiving. 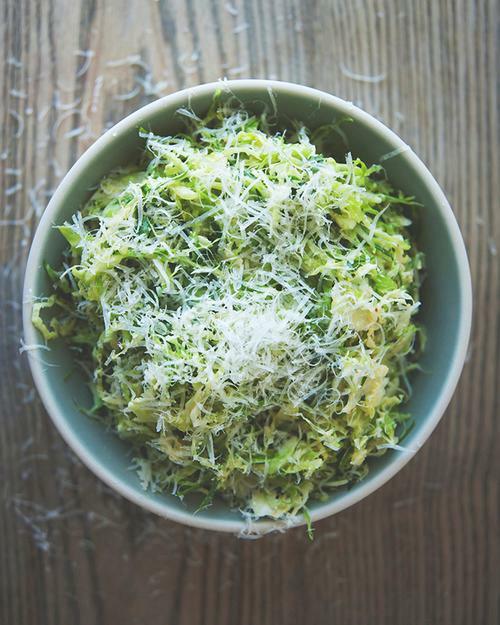 Simple, fresh, and perfect for you Brussels sprout lovers, this salad is an easy spin on a classic. If you really want to push it over the top and serve this as a main, add a poached egg and bread crumbs. Enjoy!